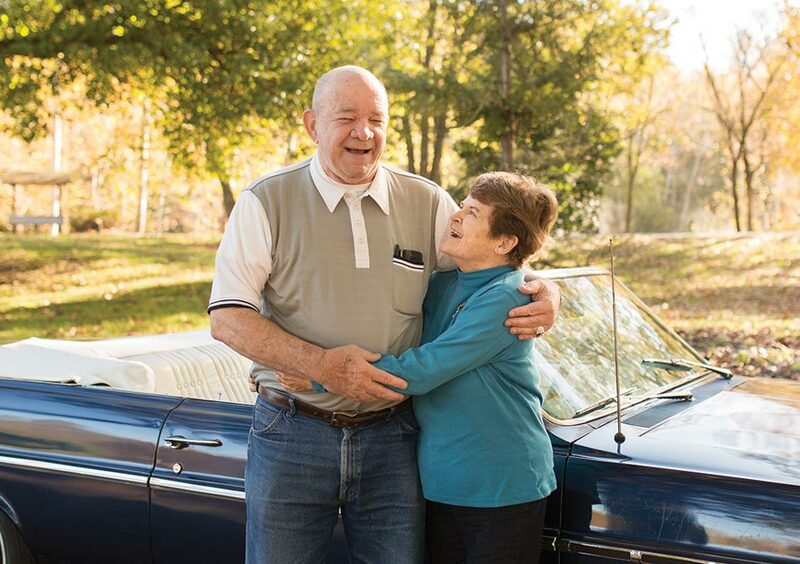 When Tom Deters, 76, found out Margaret Mary Health was partnering with UC Health to offer lung cancer screenings to past smokers, he didn’t hesitate to schedule his appointment. Having smoked two packs a day for nearly 50 years, the Brookville resident was concerned his life choices had taken a toll on his health. And for Tom, that equates to more carefree convertible rides with his wife of 52 years! Lung cancer is the leading cause of cancer death in the U.S., yet if detected early, its survival rates drastically improve. To help area residents identify lung cancer in its earliest, most curable stages, Margaret Mary Health is now partnering with the University of Cincinnati (UC) Cancer Institute’s Lung Cancer Center to offer a new lung cancer screening program. The UC Cancer Institute’s Lung Cancer Screening Program was the first program of its kind in the region and has been designated a Screening Center of Excellence by the Lung Cancer Alliance. An unfortunate truth about lung cancer is it doesn’t commonly cause symptoms until the cancer is more advanced. Lung cancer screenings are critically important to help identify cancer early when the chance of cure is higher. Results from a large national trial show that screening for lung cancer with low-dose CT can result in an increase in the detection of lung cancer at an earlier stage, thereby leading to improved survival rates. Traditional chest X-ray produces a flat, two-dimensional picture. With low-dose CT scanning, the X-ray tube rotates around the patient to create a 3-D picture of the chest, which can detect very small spots. To be eligible for the screening, participants must be between 55-80 years old and have smoked at least one pack of cigarettes per day for 30 years or two packs per day for 15 years. The screening, which includes a low-dose CT scan, is now covered by most insurance programs for eligible patients, including Medicare. For those whose insurance does not cover the screening, a discounted self-pay rate is available. For more information or to see if you qualify, call 812.933.3752.